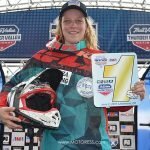 Congrats to the amazing Ashley Fiolek 2012 Women’s World Motocross Champ! She has taken the WMX – FIM Women’s World Motocross Championship title! Italian rider Chiara Fontanesi dominated the event, sweeping the motos on her Yamaha/Monster Energy machine. 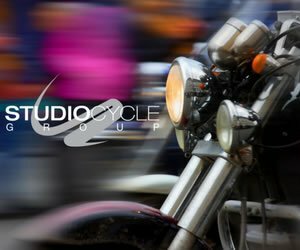 The Italian rider proved to be a formidable opponent to the front runners, getting past American Honda’s Ashley Fiolek mid-moto and holding the front to the end. 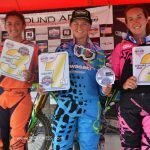 MotoConcepts’ Mariana Balbi rounded out the podium. Fiolek was second in the first moto and third in the second but surpassed Jessica Patterson who couldn’t finish the race. Team Honda Muscle Milk’s Ashley Fiolek of St. Augustine, Fla., overcame a five-point deficit Saturday to claim her fourth Women’s Motocross Championship title in five years. On Saturday at the Red Bull Lake Elsinore National, standings leader Jessica Patterson and second-place Ashley Fiolek enter the final round separated by only five points. Tarah Gieger is third, 10 points out of the lead. After crashing out of the Lakewood round of the WMX title chase, and then missing the following round due to a concussion, things were looking fairly miserable for Ashley Fiolek’s chances of repeating as the 2012 WMX champion. Patterson (Rockstar Energy Suzuki) had the points lead coming into final round, but was also suffering from injuries of her own. With a second in the first moto that made it nearly a heads-up points race for the title in the final moto, and a third-place finish for Ashley, combined with a DNF for Patterson, Fiolek takes her fourth title in five years. 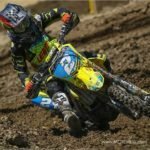 Fiolek has said this will be her final season racing WMX. She has not revealed her future plans. Congrats to Ashley and the entire Team Honda Muscle Milk team!